Often accompanying the excitement of a new construction project are reservations or uncertainties about how it is all going to come together. These uncertainties are normal, but relief comes from having an understanding of how the various phases of the design-build process will take place. For the moment, we’ll focus on what to expect during the design phase. The design phase includes a series of four steps. A bathroom remodel can be a daunting task but it doesn’t have to be. At Factor Design Build, we excel at creating the bathroom of your dreams with the least amount of hassle. Working with a design-build team has so many advantages when it comes to a bathroom remodel. Remodeling your bathroom with a design-build team is better because the design is personalized, the plan is full-service (including design and construction), is on or under budget, and is personalized for you and your family. Curious to know more about why design build bathrooms are better? Our clients find there are four main benefits. Why Is It So Important To Have Your Designer And Your Contractor on the Same Team? If you have friends, family members, or neighbors who have gone through a home remodeling project, you may have heard a few horror stories. Or maybe you were working with a previous contractor and the project ended early because of construction or design issues. That’s why at Factor Design Build, we follow a more successful model when it comes to home additions, kitchen remodels, and even building a new home from scratch. Our team of designers and builders work together to ensure the design is something that can actually be created and we’re all on board with the design from day one. Here is why we have so much success with the design build process. Not all design build firms are created equal. Selecting the right design team for your kitchen remodel requires careful consideration of your home’s flow and functionality and your family’s needs. Additionally, you need to choose a builder who is committed to working within your budget while satisfying the top items on your design wish list. Learn more from our three-step guide to choosing the right design team for your kitchen remodel. When it comes to a kitchen remodel, having the right people on your side makes all the difference. By taking advantage of the simplicity and straightforward process that a design build firm offers, you take the stress out of remodeling your home and instead get excited about all the possibilities that await. But what exactly makes a design build kitchen the better option? Why Choose a Full-Service Design Build Firm ? If you’re embarking on a home remodeling journey, choosing a full-service design build firm will save you time and money while eliminating the headache of coordinating multiple contracts and project logistics. https://factordesignbuild.com/wp-content/uploads/2017/02/factor-meet-the-team.jpg 900 3000 Factor Design Build https://factordesignbuild.com/wp-content/uploads/2016/07/logo110h-300x85.png Factor Design Build2018-02-26 11:03:472019-03-15 15:09:35Why Choose a Full-Service Design Build Firm ? Why Full Service Design Build? Since a home remodel is one of the most expensive and invasive projects any homeowner willingly undertakes, it makes sense that design, project management, and execution are key influencers in choosing the right contractor fit. Traditionally, you begin your remodel working directly with an architect or general contractor. Architects translate vision into blueprints and spot check the construction but don’t typically project manage the remodel from start to finish. General contractors steer the construction process but outsource labor to subcontractors for every step of the execution, making it difficult to track the project lead from day to day. Separately, these remodel options leave a lot to be desired. https://factordesignbuild.com/wp-content/uploads/2018/01/shutterstock_370998755.jpg 2155 2873 Factor Design Build https://factordesignbuild.com/wp-content/uploads/2016/07/logo110h-300x85.png Factor Design Build2018-01-25 16:03:322019-03-15 15:12:33Why Full Service Design Build? One of the big challenges that many homeowners face with a home remodel is managing all of the different service providers, such as architects, general contractors, interior designers, engineers, surveyors and getting them to all work together. Besides trying to keep the project on budget and on time, working and communicating with several different service providers that have different timetables can be incredibly frustrating. Often, a homeowner will first hire an architect to design their dream home. Once the architect completes the plans, the homeowner will start shopping for a general contractor to build out the plans. However, this is where problems may start to arise if the architect and contractor haven’t worked together with the homeowner from the start. If the homeowner is getting multiple bids to build out the architectural plans, how will they know that the contractor truly understands and can correctly price what the architect has developed? Also, interior design and finishes are not usually fully developed at this point, and this can represent a significant portion of the final project cost, which makes comparing bids from different contractors and service providers more of an apples and oranges comparison. With a Design-Build Firm, your project is managed from start to finish by one team, rather than piece-by-piece by many individuals. This allows them to design with the homeowner’s goals in mind and consider any potential restraints upfront. The Design-Build process creates a more cohesive project because the architects, interior designers, and the construction team collaborate and work together throughout the process to bring your dream home to life. 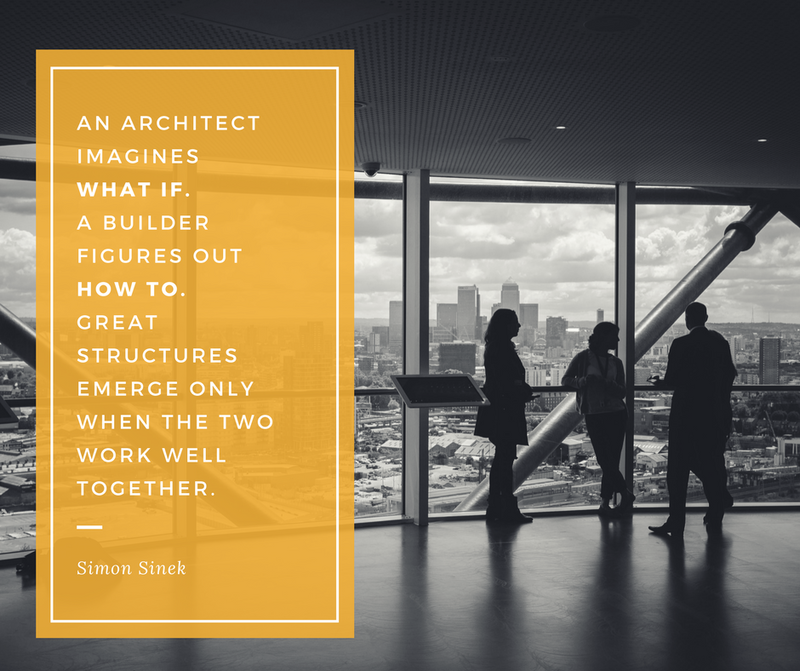 Most importantly with Design-Build, everyone is on your team, rather than their own. Click here to learn more about how Factor Design Build will take your project from the design phase through the build phase. Check out our completed Design Build Projects here.